Understanding the injury. The glenohumeral joint is the body’s most mobile joint and the joint that’s most likely to become unstable. When a dislocation occurs, the head of the humerus partially or completely slips out of the circular glenoid that helps hold it in place. The injury can be painful, especially if the shoulder is completely dislocated and/or if supporting soft tissues are damaged. Treating the injury. Whether they be partial or complete, shoulder dislocations need to be treated by an Orthopedic Specialist. Treatment depends on the severity of the dislocation and associated soft tissue damage. Conservative, non-surgical options are always tried first. 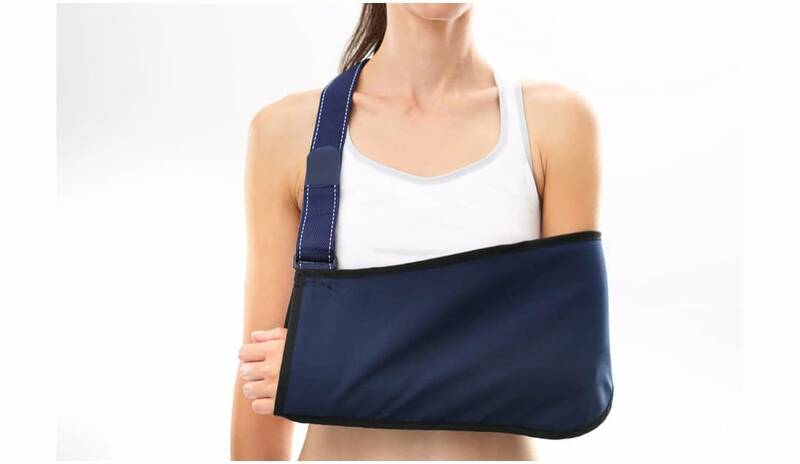 Immobilization, usually in a sling, is used to decrease pain and give the shoulder time to heal. Physical therapy is used to strengthen the shoulder and prevent future dislocations. 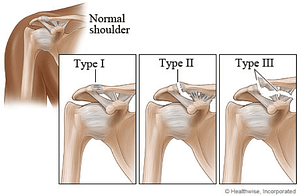 Surgery is recommended when shoulder dislocations are chronic. During a 1-2-hour arthroscopic procedure, an orthopedic surgeon locates and then fixes damaged soft tissues so the shoulder can be held properly in place. Understanding the injury. The acromioclavicular joint is formed by the clavicle and the acromion of the scapula. A separation can occur when the joint experiences forceful impact during incidents such as falls, blows, and collisions. The injury is easy to identify, as a bump (the separated clavicle) is seen near the joint. Pain, limited mobility and pain with mobility are common symptoms. Treating the injury. Immediately following a separation, a sling, ice, and medications can be used to immobilize the shoulder and decrease inflammation and pain. In most cases, this type of treatment can be continued for a few weeks or months and the damaged soft tissues that caused the separation will heal. However, in cases where severe pain and/or a severe deformity is present, surgical intervention might be necessary. You now know the difference between a shoulder dislocation and separation. If you sustained either, please don’t hesitate to contact our offices to arrange an appointment. Your injury can and will be treated in a manner that ensures a full recovery. High Mountain Orthopedics specializes in bone, joint and muscle injuries, including shoulder injuries. Dr. William Matarese, Dr. Tony Wanich and Dr. Sherwin Su have over 25 years of combined experienced treating orthopedic and sports injuries. Our practice uses a multi-disciplinary approach that includes physical therapy and activity modification. If surgery is necessary, our team utilizes the latest advancements in Minimally Invasive and Arthroscopic procedures to expedite the healing process. If you are suffering from a bone, joint or muscle injury – contact our offices today! We have locations in Wayne, Clifton and Englewood, NJ.